Pope Francis has revealed he once made money by kicking people out of clubs as a bouncer. 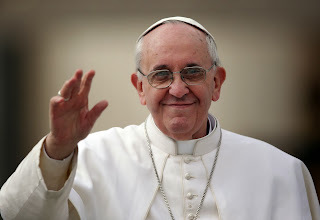 According to news.com.au, the Vatican newspaper, L'Osservatore Romano, reported that the pope told a group of parishioners at the church of San Cirillo Alessandrino about his earlier jobs. Pope revealed that like most students, who want some money during their university days, he needed to make a little cash on the side. So he worked in a bar in Buenos Aires and did some moonlighting as a bouncer. On March 11, 1958 he joined the novitiate of the Society of Jesus, or the Jesuits.